Who is training your doctor to teach you to obey him? Listen to a few doctors trying to sell a parent on circumcision and vaccinations and it becomes obvious there is a “universal script”, and every point in the script is an appeal to fear. The Public Relations industry early on aligned itself with wealthy medical organizations that needed help to convince the American public that allopathic doctors – and only they – should be considered in matters of health. They have turned medical “science” into a religion, with doctors as priests, nurses as nuns, hospitals as churches, surgery as a rite and pharmaceuticals as sacraments. Anyone who questions is a heretic – and woe be to he who is excommunicated. When you take your child to their health care provider for a visit, you may have a list of questions to ask them about vaccines. You might be wondering about the risk of autism, the side effects of a vaccine, or the damaging effect dozens of vaccines will have on your child’s immune system. Who Is Really Training Your Child’s Doctor? Let’s find out who wrote these training materials. What’s Inside These Vaccine-Funded Training Guides? 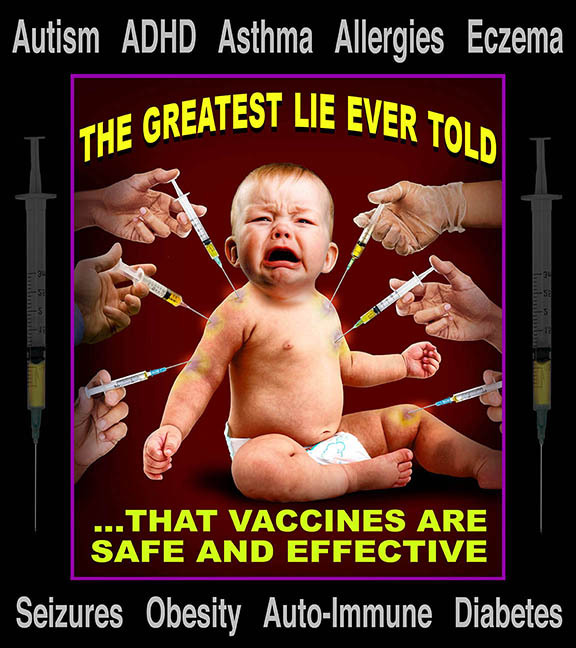 Find out more at Natural Health News and Wellness Tips: What to Expect From Your Doctor When You Say No to Vaccines. What do Hillary Clinton and the Bundy-BLM Standoff have in common?